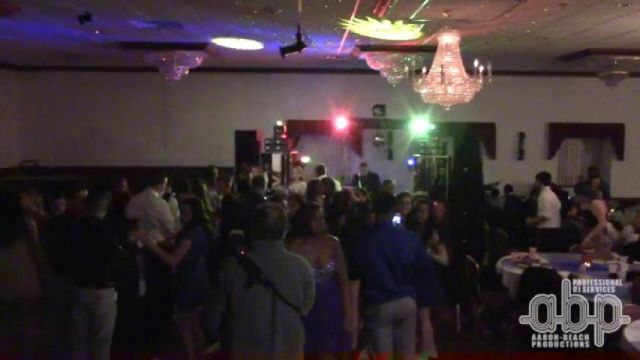 We returned to Stoughton High School for their 2015 Jr. Semi-formal! We were located at a different venue with a bit more room space but unusual layout for setup. We managed to make it work with little impact to the rooms overall layout and design. The students packed the dance floor all night and by every account had a great time! The students had a wide variety of song choices that we did our best to accommodate. The room was amazingly warm that night but that didn't stop the students from rocking the dance floor from start to finish. People were up on the stage, dancing, jumping and having an all around great time. They students knew how to party! We look forward to the juniors' next formal event. Check out the image gallery and video below to see what an excellent time that was had. We received this shortly after the event, thank you one and all for your kind words. It was my pleasure and look forward to your next event!